“Germany is conscious of its responsibility,” Merkel said at a joint briefing with the Canadian Prime Minister Justin Trudeau following their meeting in Berlin. The chancellor stressed that Germany would abide by its commitment to raise defense spending by two percent of its gross domestic product (GDP) but added it's a long-time goal that is likely to be reached only by 2024. 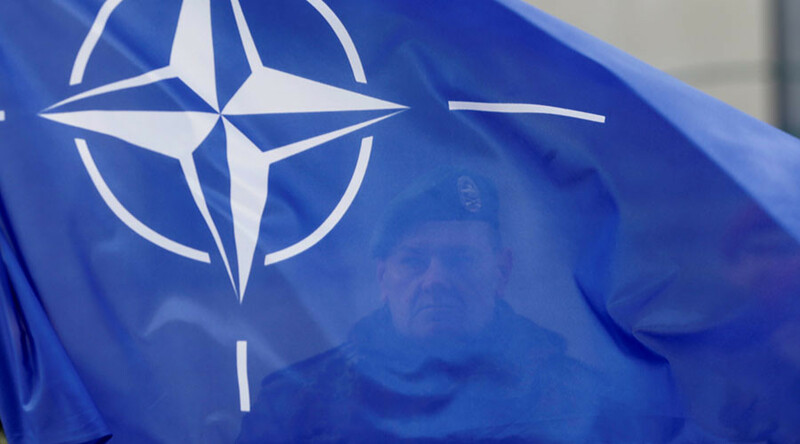 In 2014, NATO members agreed at a summit in Wales that those countries that spend less than two percent of their economic output on defense will bring it in line with NATO demands in ten years. Germany currently spends only about 1.2 percent of its GDP on defense but Merkel noted that it already increased military spending by eight percent in this year in comparison to the previous period. “We must do more here, no question, but the matters of development aid and crisis prevention are also important,” she said, as cited by Reuters. FM Gabriel echoed her words at the G20 foreign ministers meeting in Germany this week. “There is no question that Europe will have to take more responsibility for that (military spending), but we cannot reduce security and peace policies to just the extent of military spending,” he said. He also earlier told reporters that Germany would spend some € 25 billion ($ 26.5 billion) a year more on defense to meet the target set by NATO. He said, however, that excessive focus on military spending would prevent European countries from solving other global problems that are no less important. “That will not allow us to fight climate change, drought or poverty,” Gabriel told reporters at the end of the two gathering held in Bonn. “An important message from this G20 [meeting] was that peace and development prospects are two sides of the same coin,” he added. He also said that Germany already had to spend some € 30-40 billion ($ 31.8-42.4 billion) a year to deal with about a million refugees, displaced by failed military interventions. “That shows that focusing on military interventions also taps funding that could be better spent in combatting hunger and misery,” he said. 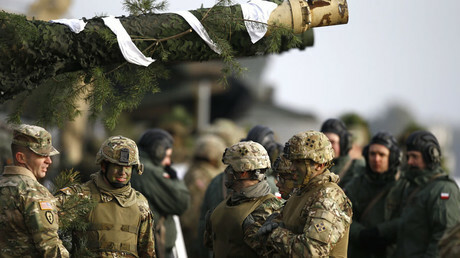 Other senior German officials, including Finance Minister Wolfgang Schaeuble and Defense Minister Ursula von der Leyen, also expressed strong support for the idea of increased defense spending. Schaeuble reaffirmed Germany’s commitment to increase military expenditure but said the European Union must take on a bigger international role and stop its reliance on the US. 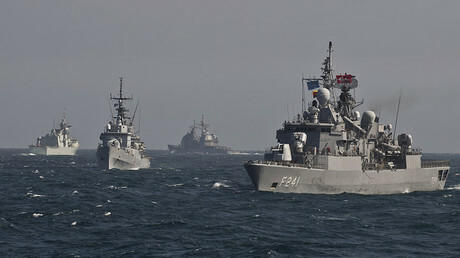 “It is a matter of security; we have to do it together, inside NATO and a more efficient European contribution. We are moving in that direction with the European defense union. We have to spend more money on this, we have decided to do so in the German government, no doubt, we will meet our obligations,” the finance minister said on the first day of the international Munich Security Conference. Earlier, he wrote in a piece for the German Funke media group that “it is high time that we think more about the international role of Europe, apart from all the homework we have to do within the EU,” adding that the bloc had already waited too long for the US to act. Also at the Munich Security Conference, von der Leyen once again referred to the perceived 'Russian threat' as she argued for the necessity of more spending on arms. Von der Leyen also announced that Germany would create a cyber-security center in April in response to concerns that Russian hackers could meddle in the upcoming German elections. 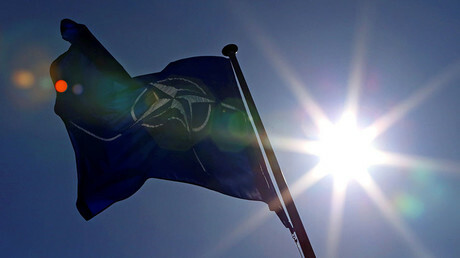 During his election campaign, Trump repeatedly criticized NATO, calling the organization “obsolete.” Trump also suggested that the US might not come to the aid of an ally which did not meet the defense expenditure target of two percent of GDP. Currently, just four European NATO members – UK, Poland, Estonia and Greece – are meeting their contribution mandate. In early February, during a phone conversation, Trump and Merkel agreed on the “fundamental importance” of the NATO alliance and the need for all members to pay their fair share. While NATO claims that its military maneuvers on Russia’s borders are aimed at preventing a conflict rather than provoking it, Russia remains skeptical, citing a long record of NATO moves which Moscow considers to be either compromising its national security or violating international law.